You will find the Email Digests screen on your WordPress admin area navigating to the GamiPress menu -> Email Digests submenu. The email digests screen is a quick view of all email digests stored by GamiPress – Email Digests. Quickly you will see each email digest title, periodicity, status and date. Clicking on the Edit link, you will be redirected to the email digest edit screen. Through the Periodicity box you can setup some options related to the periodicity as the day, month or included the day of the week you want to send it. 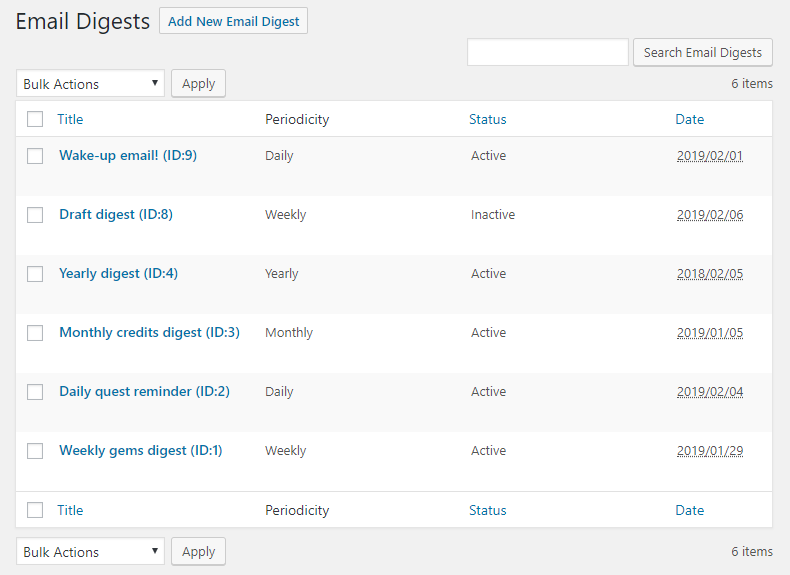 There is a full explanation about setting up email digest periodicity. 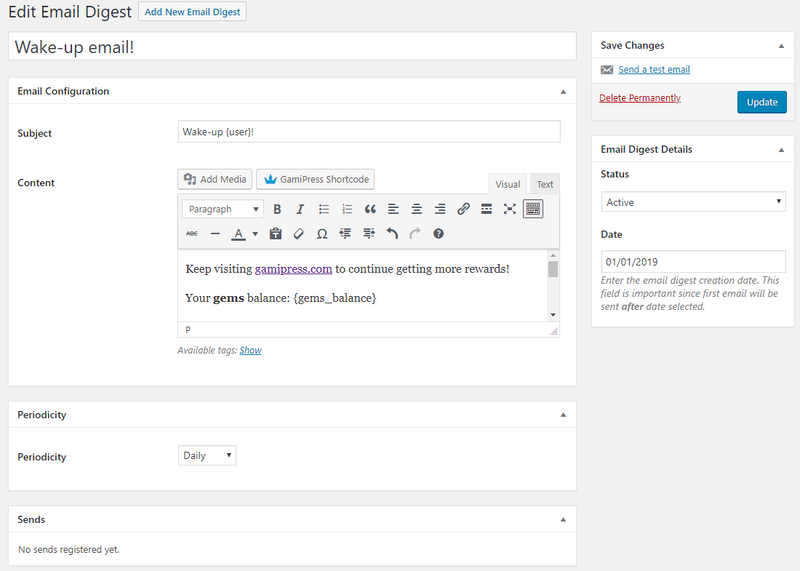 Through the Sends box you can check all internal sends that Email Digests performs internally. Note: Email Digests includes a smart sending mechanism that will perform email sending gradually to prevent overload websites with a large number of users. For more information check how emails will be sent. Through the Email Digest Details box you can setup some of the important fields of the email digest that make it available to being sent. The email digest’s status (active or inactive). Note: Just email digests with status active will be sent. The email digest’s creation date. From the Save Changes box you will be able to perform some extra actions related to the email digest. The send a test email action will send a email to your account’s email to let you check how the email digest will look to your users.